Typically cod would be drying on flakes or neatly spread on flat rocks near the beach, but more and more often the cod fish can be seen drying like clothes on the line. It’s a sign of the ever changing times in rural Newfoundland and Labrador. Cod jigging is part of growing up in rural Newfoundland and Labrador. The implementation of the cod moratorium in 1992 caused 30,000 people in the province to lose their employment, basically overnight, ending 500 years of this fishing activity. Our communities were forever changed. 25 years later, there are signs of a Northern cod recovery. The impact it will have on our communities are yet to be seen. 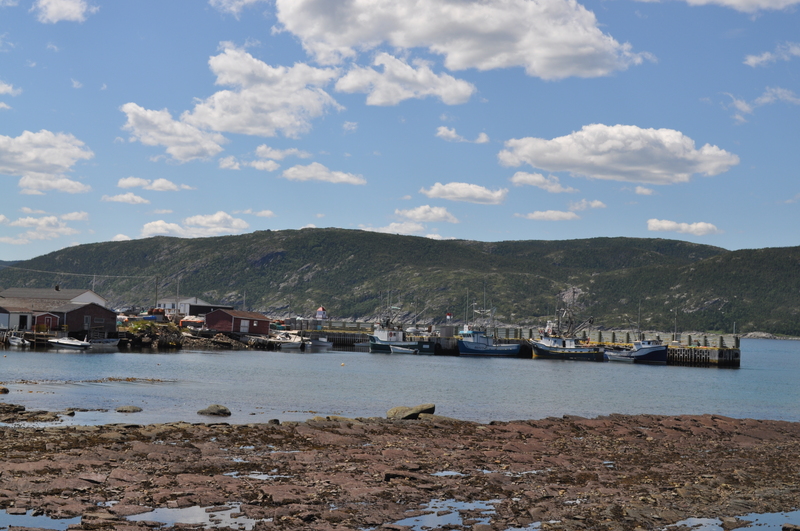 Each summer though, residents and non-residents take to the water off the coasts of Newfoundland and Labrador to catch a few cod by participating in Department of Fisheries and Oceans (DFO)’s Recreation Cod Fishery, which we often call the food fishery. Cod is an important staple for residents and many catch their quota of 5 fish per day over the course of a 46 day fishery between July and September. I never miss the opportunity to go jigging. There is something about being on the water close to your home, pulling in the fish and being able to deliver it to your table that gives you a sense of belonging to this place we call home. Knowing where your food comes from is important. Newfoundlanders and Labradorians always had a strong connection to the land and sea and I believe we always will. Our communities are still very traditional, our communities are resilient and we have opportunities to share our culture, traditions and way of life with the world. There are authentic unique experiences in our rural communities just waiting for you. From sea or farm to plate is an ever growing concept, which has always been the way for our outports. A rabbit snared, partridge hunted, garden potatoes, carrots pulled or fresh fish would be served up at the dinner table. Taking these concepts to our local restaurants for tourists is an opportunity. Also, to tell the story of who caught it, how it was caught, where, who prepared it, the recipes and the process are all part of adding real value. Sharing our unique culture with the world is what is requested. I believe we have exceptional opportunity to do just that. Our communities, like others do not remain stagnant, we will always change and evolve over time. Our traditions and values remain core to who we are, whether we spread fish on flakes or hang them on the line, we have a strong sense of where we belong. Experience the Great Northern Peninsula! The Town of Roddickton-Bide Arm has placed a real focus on recreation and engaging the community in a variety of activities and utilizes assets such as an outdoor swimming pool, arena, playground, network of trails and other social commons. It is important to have a committed group of volunteers in that place focus on recreation. This Town has adapted to share knowledge with the greater community by having a FB Group called “Roddickton-Bide Arm Recreation” which has 177 members. More people are encouraged to join and participate, as recreation and healthy living is for those of all ages. Recently they have hired a “Get Moving” Coordinator that hosts a series of activities from games day, healthy cooking classes, snowshoeing runs and winter boil-ups. A great mix of exercise, healthy living, education, culture and fun! These initiatives are very progressive and attractive for current and future residents. In September of 2014, I participated in their first ever Fun Run/Walk of 3 or 5 KM in distance. In high school, I ran on the senior cross-country run team. I found out that day, its been more than a decade since high school and no one should just start with a 5 KM run, without training for it first. I had much fun and placed 6th overall, but certainly had some muscle strains and knee aches for many days after. As a politician, I do a lot of door-to-door visits with constituents and residents across Newfoundland & Labrador, which is great activity, but those who run daily will undoubtedly get better results, as they do not contend with the many cups of tea and sweets offered at the household visit. Cloud River Academy has an incredibly dedicated and committed physical education teacher that is present at virtually every town or school event that has a recreation focus, from the volleyball tournaments to the figure skating events, hockey tournaments and snowmobile races. The presence certainly means a lot for greater community engagement and promoting active lifestyles for our youth but all residents of the greater community. 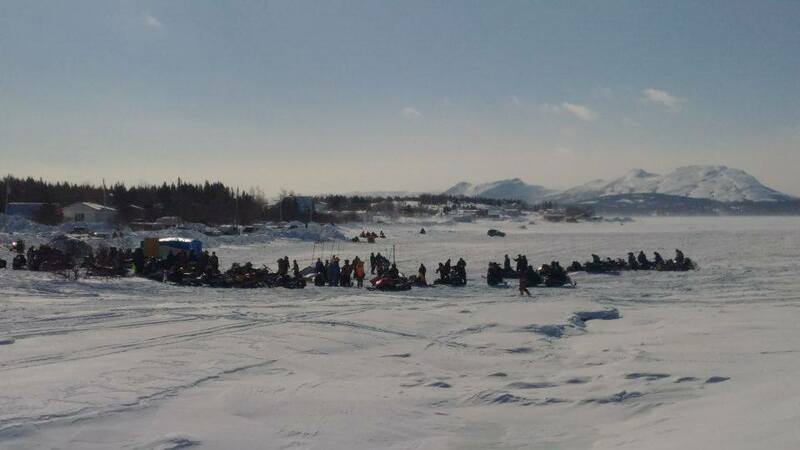 Despite chilling temperatures, more than 100 spectators and over 2 dozen participants, competed in the annual Roddickton-Bide Arm snowmobile races to find out who will be “King of the Clouds”? A small group of volunteers continue to make big things happen in small communities. Those on the recreation committee deserve much praise, they are making it happen! Roddickton-Bide Arm is a picturesque Town, which is the perfect venue if you love the great outdoors. Your experience and adventure awaits! Sailing the Mediterranean with my European Amigos! On August 15th, I departed the rock on an adventure planned many months in advance. One has to do that if you want to use these things called Aeroplan points to travel on the cheap to far away lands. Over the course of these months, I have been quite excited to travel back to Italy, this time the small island of Sardinia and experience a week of sailing for the first time – with the most wonderful friends in the world. The Milk Run meant flying from Deer Lake to St. Johns to London to Munich to Olbia. I know when I arrived more than a day and many time zones later I was ready for sleep. The Grand President Hotel would be my resting place for the night, but I would not immediately sleep as they placed me on the top floor on the corner with an amazing view of the port, cruise ships, ferries and the aqua park. Below me, people were playing a friendly game of beach volleyball, the cheers were coming from an amusement ride and for the Canadian traveler, imagine hearing the sounds of Celine Dion from the stage. 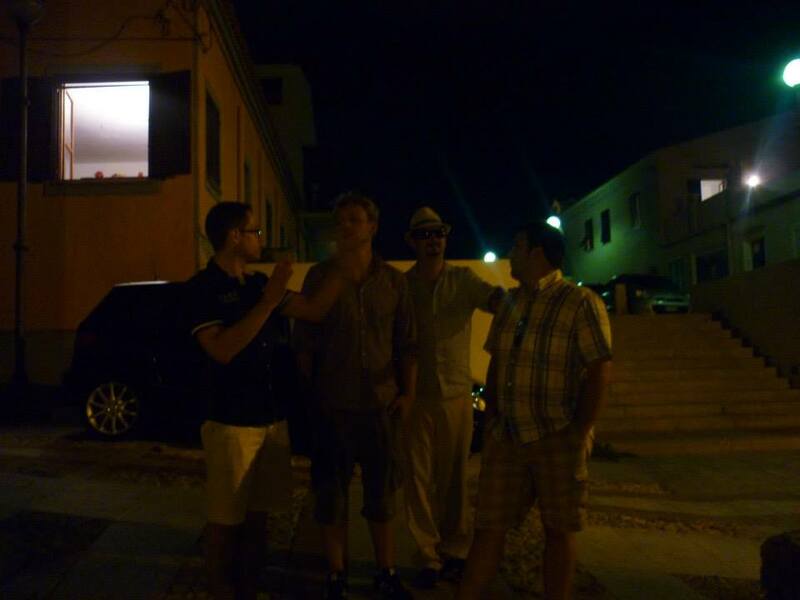 There was much vigor and life in this small town of Olbia. After soaking in the sights and sounds, I would peacefully drift off to sleep and would be greeted by my friends the next day. After an amazing hotel breakfast my German friend and I played a friendly game of chess in the hotel lobby. He planned to continue his winning streak from the giant chess match-up in Cuba; however, it was not meant to be in Italy. During this game and others, I was able to come out victorious. Next time Old Sport, next time. We went grocery shopping, along the way we passed a small market and even an Esso gas station. We picked up a lot of groceries 🙂 and made our way to pick up our sailboat. I was very happy with the name of our boat – RELAX. It is so important to just step away from the world sometimes and relax – it is good for the body and good for the soul. It was my first time sailing – I highly recommend. We left Portisco to various places including entering French waters near the island of Corsica. Re-united again! We all first met in the Czech Republic in 2007 on an exchange at the University of Economics. We’ve all remained friends ever since and have travelled to places like Switzerland, Denmark, Cuba, Canada (Alberta, British Columbia, Ontario and Newfoundland), Ireland, Italy, France & Czech Republic having many random adventures. Although it took me awhile to recover from jet leg and feeling very congested, I had a wonderful week on the water seeing hundreds of sailboats, yachts, fishing vessels, cruise ships, sailing school and other pleasure crafts. The feel of just moving with the wind is amazing. The view scapes of the Italian coastline and houses built on cliffs is just leaves you in wonder. Each marina has something unique to offer. Each time we stopped at port, I had to ensure I ate “gelato” or Italian ice-cream or a double espresso. The goggle photo will always have me think of the Minions, every time a second anchor drops and the humor they can bring to any situation. This is only the snapshot of more than 1,000 photos taken throughout the week. From rowing the rubber dingy, making giant sand castles, swimming (albeit miserably at sea), playing cards, chess and other games, catching a few laughs and reminiscing about the good ol’ days made me realize how blessed I am to have such wonderful friends and how we were able to each share the tasks of cooking, dishes, weather, anchor drinks, safety, mechanical, supply and treasury in such close quarters and not kill one another. As well, Marcel certainly knows how to crack a coconut and make a feast that fits with the climate. It was also a great experience to sleep under the stars, while anchored in the bay. One can only imagine how quickly a week can fly by when with a great group of friends having an adventure on a sail boat in the Mediterranean. Far too fast! I ended up staying after my friends left almost another week before returning to the rock, enjoying Italian food, sun and surroundings. I do look forward to sailing again with Skipper Reto and sailors Tobias, David and Marcel. I waited a year for the vacation that truly was – like all the others it’s been a slice! Take time to plan adventures with your friends. And always, live rural! Conche is tagged as “The Beauty Spot of the North”. It is nestled at the edge of the Great Northern Peninsula East and is home to 181 residents, but there are hundreds more ‘Die hard Conchers’ out there and many are home to celebrate Come Home Year of 2013. It truly is a magical place. 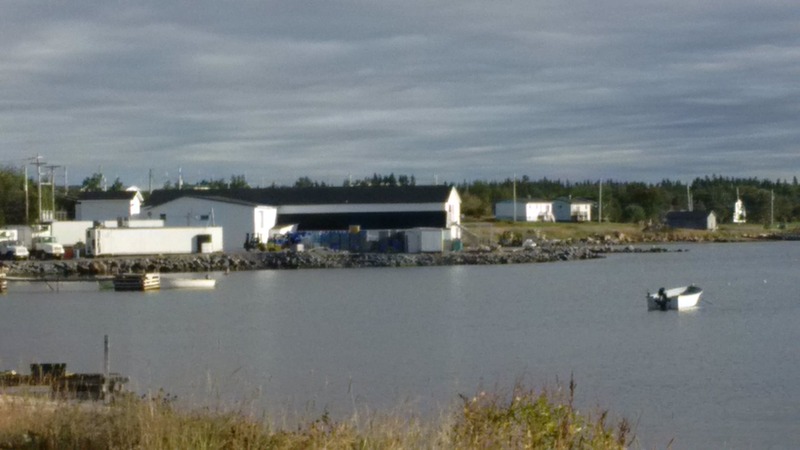 This fishing community has a beacon of activity from an extremely active fish plant, that employs people throughout the region. The fish must be trucked in and trucked out of a dusty gravel road. There is constant commuting and significant economic benefits that Conche has contributed to the economy over the years. There must be serious consideration given to Government to pave the remaining 17.4 KM of gravel road. Conche has also transitioned to be a sought after tourism destination. It is at the heart of the French Shore, with an interpretation centre, 222-ft tapestry depicting the history of the French Shore, textile exhibits, WWII memorial, archaeology digs, cafe, writer’s retreat, B&B, playground, walking trails, icebergs, bird and whale watching, as well as much more activity from talented artists, writers, singers, dancers, crafters and more. The community understands it must add new economic opportunities by working to establish a fully functional RV site, beach volleyball and other recreational services. It has carefully placed yellow chairs around viewing areas of the Town. This is similar to an initiative that Gros Morne National Park has done for its 35th Anniversary. These are important and relatively low-cost initiatives that make a community more inviting and tourist friendly. There are storyboards and panels and certainly more room for murals. I am encouraged by the economic drive of such a small community. There is much room for growth. It is persevering, despite continuous neglect and inaction from Government that treats residents and road users of Route 434 as second-class citizens. It is unacceptable in 2013 to be driving over a gravel road with no calcium chloride program. 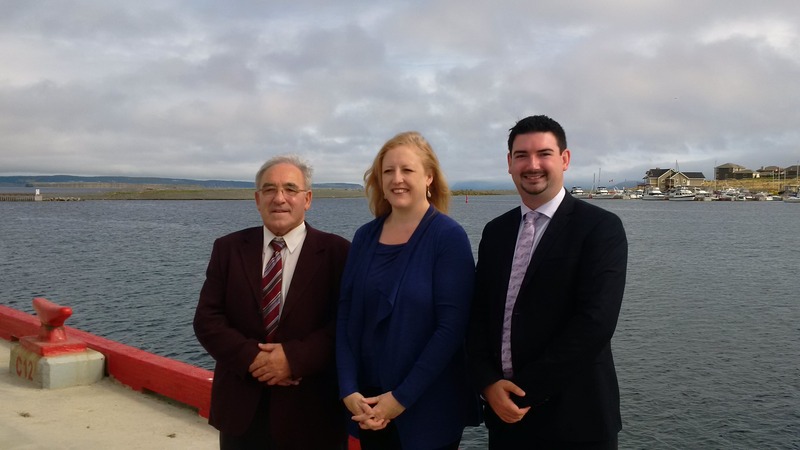 Government has invested $6M a few years ago to re-build and re-align this road. Each year there is no pavement, this investment is being eroded to the bedrock and will cost more to complete. We need better, multi-year planning to protect our investments. Conche road should have been paved years ago. Please contact Hon. 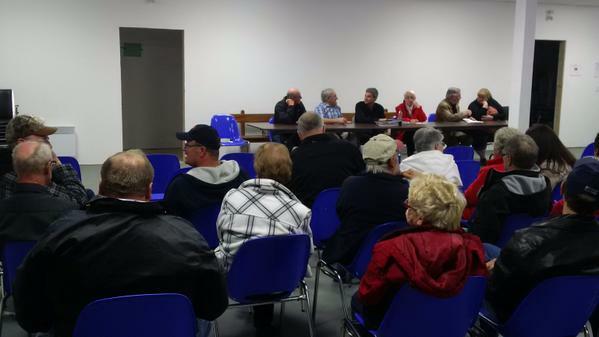 Paul Davis, Minister of Transportation & Works at padavis@gov.nl.ca asking him to take the necessary action to pave Route 434.